The Association was the group which looked after the interests of local government. 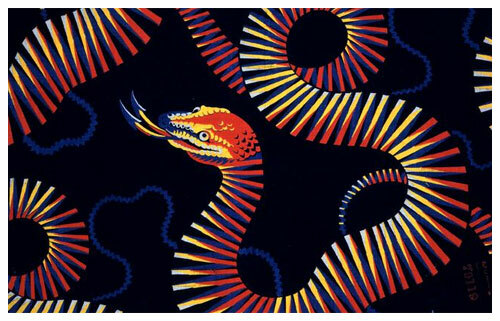 “I am now able to tell you that we have examined two other films in this category entitled SHAKE, RATTLE AND ROCK (Anglo-Amalgamated Film Distributors) and ROCK. ROCK, ROCK (Warner Bros.) and that as, like ROCK AROUND THE CLOCK, the appeared to family entertainment of a harmless character, they have been placed in the “U” category. Though these films presented no censorship problem which would have justified the board in taking any other action, we thought that, as the first mentioned film led in some places to an explosion of high spirits and even rowdiness among the young audience, we ought to let you know in case you think it desirable to send any information or advice to local authorities about these two new films. I am passing this information on to you for your personal information and have no doubt that you will make known to your cinema licensing committee as much of it as seems to you desirable. 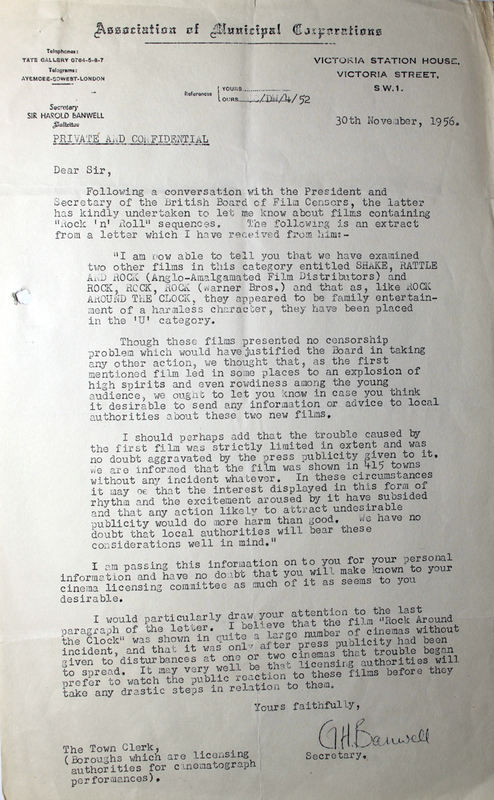 I would particularly draw your attention to the last paragraph of the letter, I believe that the film “Rock Around the Clock” was shown in quite a large number of cinemas without incident, and that it was only after press publicity had been given to disturbances at one or two cinemas that trouble began to spread. It may very well be that licensing authorities will prefer to watch the public reaction to these films before they take any drastic steps in relation to them.